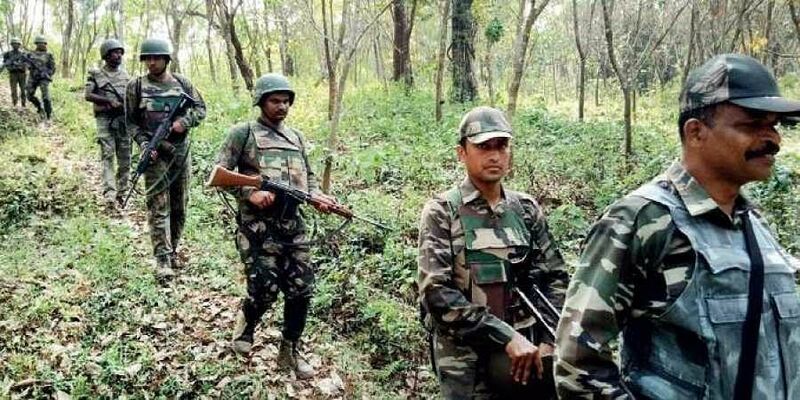 The incident took place when a joint team of security forces was returning after carrying out a search operation in the forest between Orchhameta and Tondebeda villages. RAIPUR: One naxal was gunned down in a gunbattle with security forces in Narayanpur district of Chhattisgarh Wednesday, police said. The skirmish took place around 6 pm in the forest between Orchhameta and Tondebeda villages under Orchha police station limits, Narayanpur Superintendent of Police Jitendra Shukla told PTI. The incident took place when a joint team of security forces was returning after carrying out a search operation in the area, he said. According to Shukla, the combined squad of Special Task Force (STF) and District Reserve Guard (DRG) was out on the operation for the last two days in Orchha, located around 350 km away from the capital Raipur. "On its way back to the camp, the patrolling team came under indiscriminate firing between Orchhameta and Tondebeda by a group of ultras that led to an exchange of fire," he said. After police retaliated, ultras escaped from the spot. During a search carried out later, body of a Maoist clad in 'uniform' was found there. One 315 bore rifle was also recovered from the spot, he added. Further details are awaited as the search operation is still underway, he added.